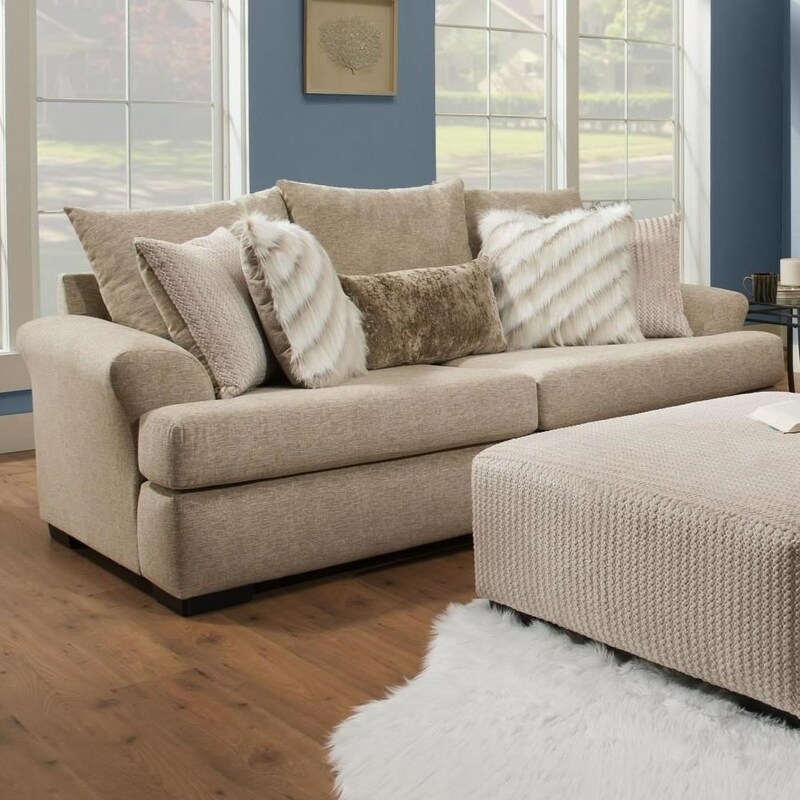 You'll love having this sofa in your home for it's casual appeal and comfortable sit. The piece is draped in a neutral yet stylish intermix khaki fabric that is easy to match with existing decor. The Intermix Khaki Casual Sofa with Large Flare Tapered Arms by Albany at Great American Home Store in the Memphis, TN, Southaven, MS area. Product availability may vary. Contact us for the most current availability on this product. The Intermix Khaki collection is a great option if you are looking for Casual furniture in the Memphis, TN, Southaven, MS area. Browse other items in the Intermix Khaki collection from Great American Home Store in the Memphis, TN, Southaven, MS area.